The LRCA is the AKC parent club for the Lagotto Romagnolo. 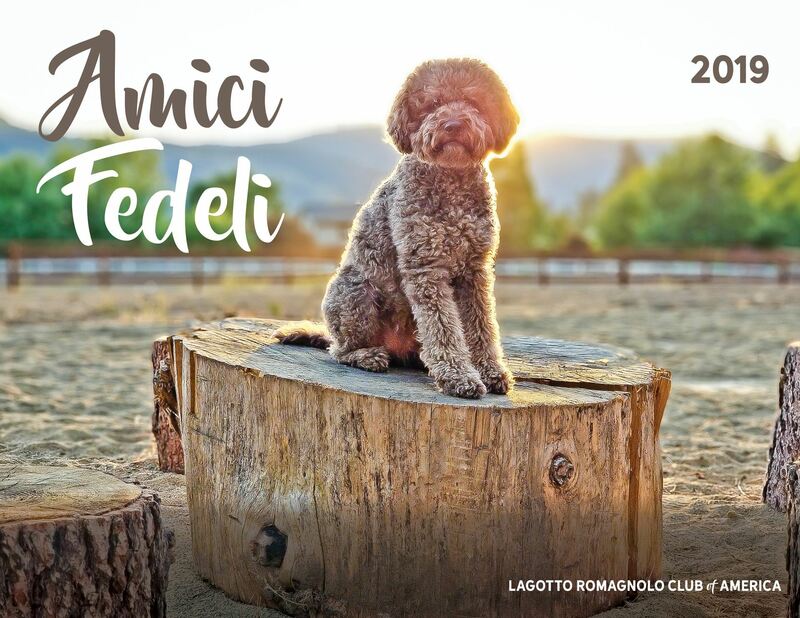 We work to preserve and protect the Lagotto Romagnolo and provide education, guidance and mentorship to all who are interested in the welfare and advancement of the breed. 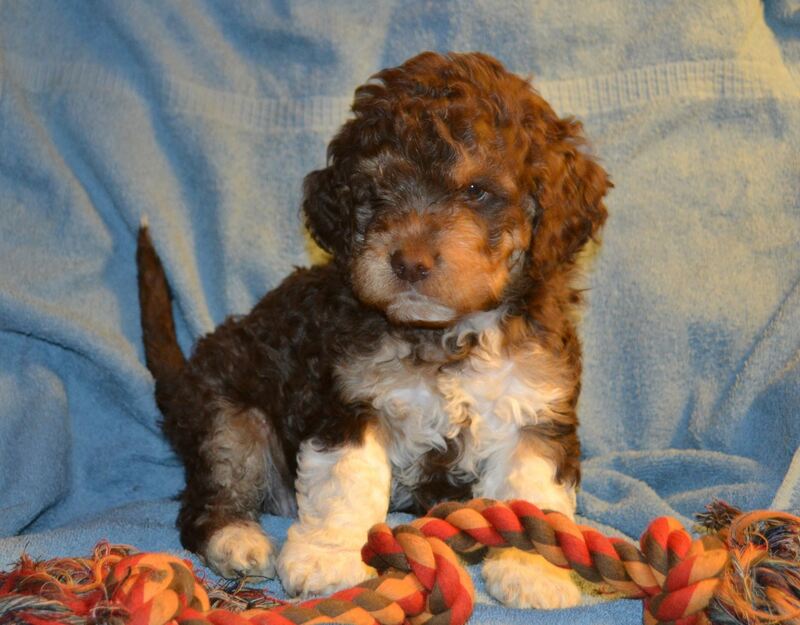 The Lagotto Romagnolo is a small to medium sized dog with thick curly hair and a bright, happy demeanor. The breed originates from Italy and was first used to hunt waterfowl. Since the 19th century it has been specifically bred to hunt the underground tuber known as the truffle. As a working breed, the Lagotto needs frequent mental stimulation and physical exercise to be happy and content. If properly socialized they get along well with dogs, children and other small pets. The breed comes in various shades of brown, with or without white, orange, with or without white, off-white, white with brown or orange patches, and brown roan. Tan markings are allowed. Time to order your 2019 Lagotto Calendar! Once again we are offering discounts for "Buy 6" and "Buy 12" in response to your requests!